Central Arizona College Community Education is offering community members the opportunity to participate in a Humanities Tour of Spain. The tour is scheduled for March 12-21, 2020. The structured program will include sightseeing trips, excursions, walking tours and many exciting local activities that will immerse travelers in the art and architecture, culture, and culinary delights of Spain. Tour members will travel to Madrid, Toledo, Granada, Cordoba, Ronda, and Seville with CAC Humanities Professor, Alyson Hanson and other CAC students and community members. A full-time tour manager will accompany the group and assist tour members in making the most of their free time. Projected costs for this tour are $3710 for students for a triple room and $4110 for adults for a double room. 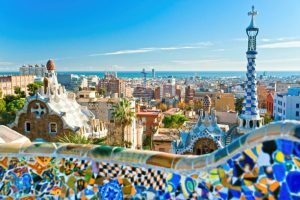 This includes round-trip airfare from Phoenix to Madrid, centrally located hotels, 24-hour tour manager, private bus, daily breakfast and dinner in Spain, Flamenco lesson and dinner show, and a Spanish fan painting workshop. Twelve tours/entrance fees are also included: Alhambra, Historic Centers of Toledo and Cordoba, Seville Cathedral (all UNESCO World Heritage sites), timed entrance to the Prado art museum in Madrid, and more. Additional expenses may include up to $50 a day for spending money, $100 for tips for ACIS tour manager and bus driver, and $25 for the CAC Community Education fee. The tour is financial aid eligible. Academic credit is available by registering for CAC’s online humanities class HMC251 during the 2020 spring semester. The course will prepare students to make the most of their 10 days in Spain. On the tour, the learning continues with lectures by local guides and excursions to many of the famous sites studied. Application deadline is March 21, 2019 for the early registration discount. A minimum deposit of $495 is required to register. Applications will be accepted through October 15, 2019 and thereafter on a space-available basis. For additional information, please contact Professor Alyson Hanson at alyson.hanson@centralaz.edu.